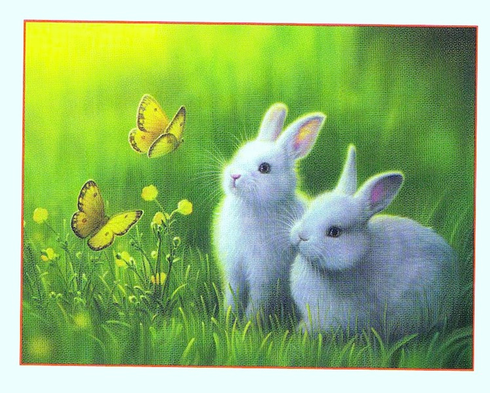 Two of the fluffiest bunnies you can imagine stare blankly at two beautiful butterflies. You too can stare at these butterflies after creating this 300 piece puzzle. It measures 18"x24". This puzzle is Eco-Friendly and printed with Soy-Based Inks on Recycled Board. Proudly made in the USA.